A winter camping trip turns deadly as two missing teenagers, a twisted love triangle, and the spectre of radicalism create turmoil in the remote Laurentian wilderness. 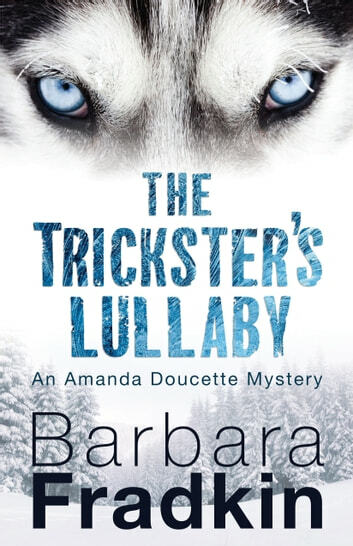 Amanda Doucette’s cross-Canada charity tour is in for a cold snap when she organizes a winter camping trip for inner-city young people in the stunning setting of the Laurentian Mountains. With a view to bridging cultural divides, she brings along a mixture of Canadian-born and immigrant youth. Trouble begins when two of the teenagers disappear into the wilderness during the night: Luc, a French/English-Canadian with a history of drug use, and Yasmina, an adventurous young woman from Iraq who dreams of becoming a human rights lawyer. Although frantic, their parents are strangely secretive amid suspicions of drug use and forbidden romance. But when a local farmer turns up dead and terrorist material is found on Luc’s computer, the dangers turn deadly. Now in a battle against both the elements and police, Amanda and Corporal Chris Tymko discover a far greater web of secrets and deception. As Amanda races to save the young people from danger, she finds herself fighting for stakes far higher than their own lives. Fascinating mystery set in the Quebec woods, about the radicalization of vulnerable teenagers.